MRM Meteorite has promoted managing director Olly Foot and chief strategy officer Chris Whitson to joint chief executives as the agency proclaims a "new chapter" in its history. 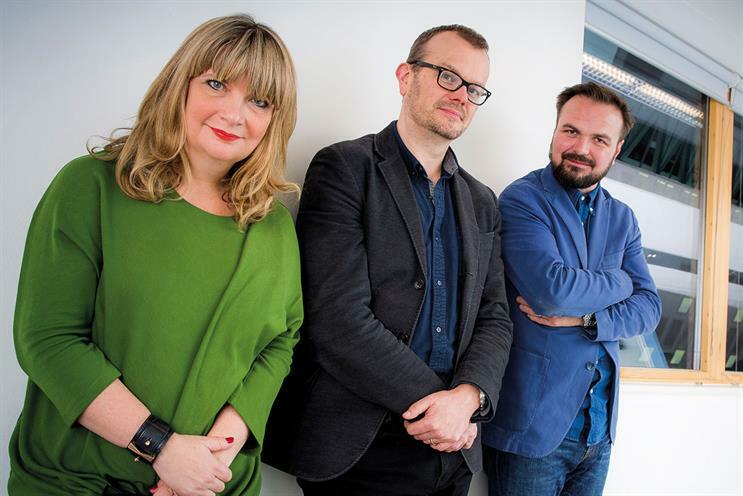 Foot and Whitson will report to Nicky Bullard, chairman and chief creative officer at the McCann Worldgroup agency, who joined from Lida in January. However, Bullard said the new leadership structure should be seen as a triumvirate. Whitson will remain chief strategy officer, while Foot will take the additional role of chief commercial officer. They will share an office with Bullard. Meteorite co-founders Hugh Bishop and Debbie Smith, the former chairman and chief executive respectively, hold consultative positions in the agency. They have reached the end of their earn-outs. MRM Meteorite was formed in 2011 when Meteorite was sold to McCann Worldgroup and merged with McCann Relationship Marketing. Foot rejoined MRM Meteorite in 2012. He previously spent eight years at the agency before becoming managing director at Carlson Marketing in 2010. Whitson moved to MRM Meteorite last year after just one year as chief strategy officer at WPP’s bespoke unit for News UK, Team News. He joined from VCCP me, the direct marketing agency that he co-founded. MRM Meteorite’s clients include Alzheimer’s Society and Microsoft.